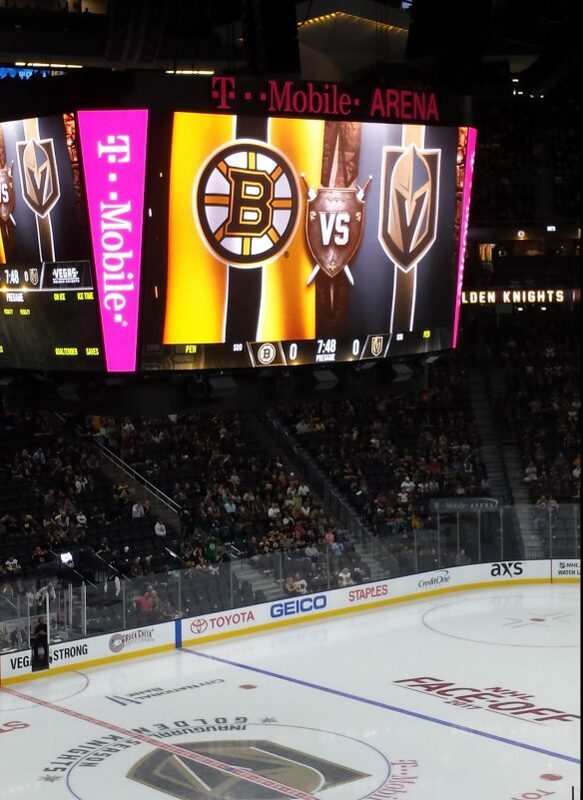 Two weeks after the deadliest mass shooting in US history, my husband Ron, our son Matt and I were at T-Mobile Arena in Las Vegas to watch the first game between the Boston Bruins and the newly franchised Golden Knights. In April 2013 when we were still living in Massachusetts, we happened to be in Las Vegas visiting our son and grandchildren when the Boston Marathon bombing shattered our city. Everywhere we went we met other Boston natives vacationing in Vegas with whom we commiserated. We are now living in Las Vegas and sharing the horror once again of a terrible massacre. Then we were #BostonStrong. Now we are #VegasStrong. When my husband and I were dating we often went to the old Boston Garden to see the Celtics or the Bruins play. That was during the prime championship years of John Havlicek and Bobby Orr. Now we found ourselves in the brand new beautiful T-Mobile Arena, home of the Las Vegas Golden Knights. But it felt almost like home. 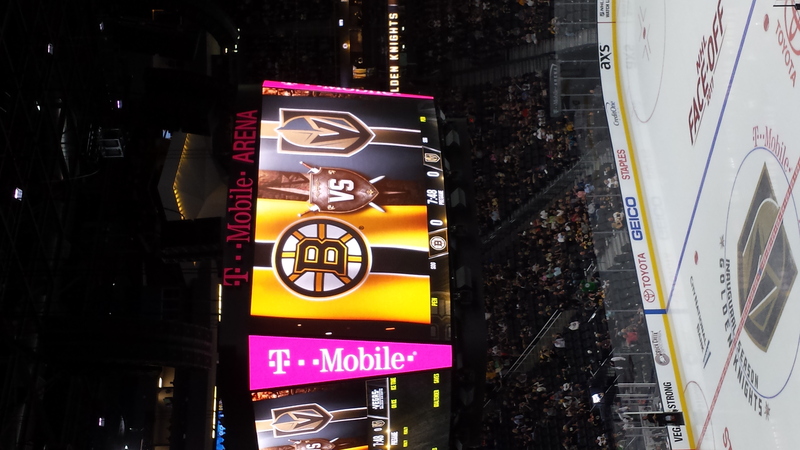 We saw just as many people sporting Bruins shirts as there were fans attired in Knights shirts as we made our way into the Arena. As we took our seats, we discovered that we were surrounded by Boston fans from Winthrop, Quincy, Millis, Salisbury. We could happily cheer for the Bruins in unison. Even the Knights goalie, Malcolm Subban is a former Bruins player. However, before the teams took their places on the ice, all of us in attendance were united and standing as Americans and cheering for the first responders who acted so bravely and selflessly at the site of the shooting on October 1. Then the puck was dropped and the game was on. My husband and son were ready for action. 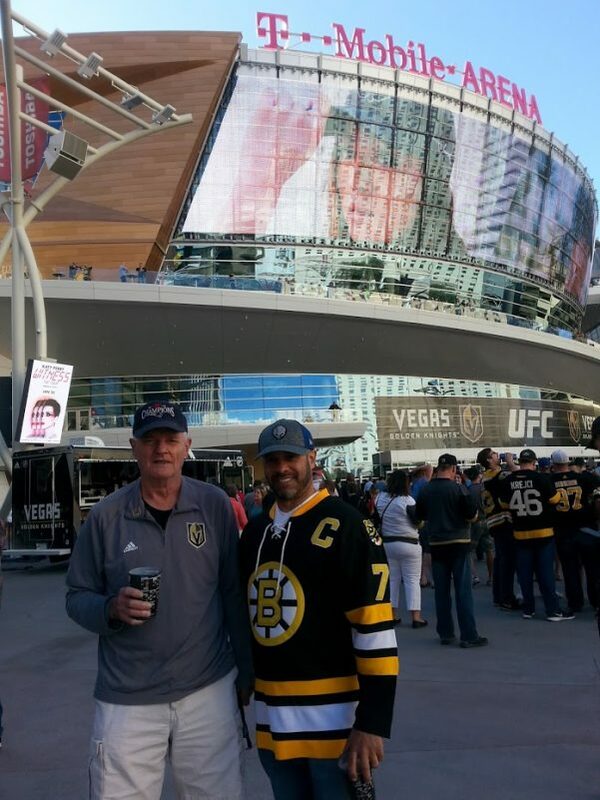 Ron in his Patriots hat and Golden Knights shirt and Matt wearing the Bruins’ Ray Bourque’s shirt. From now on we are Boston Strong/Vegas Strong. Tuesday’s Brief: Marathon Colors, Paul Revere House Event, Urban Farming?